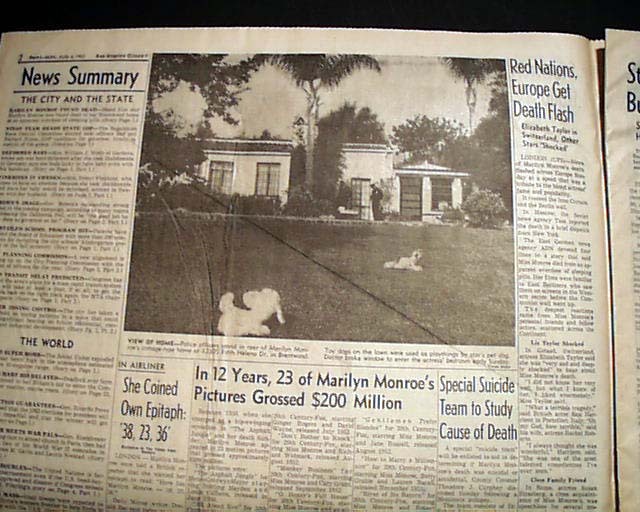 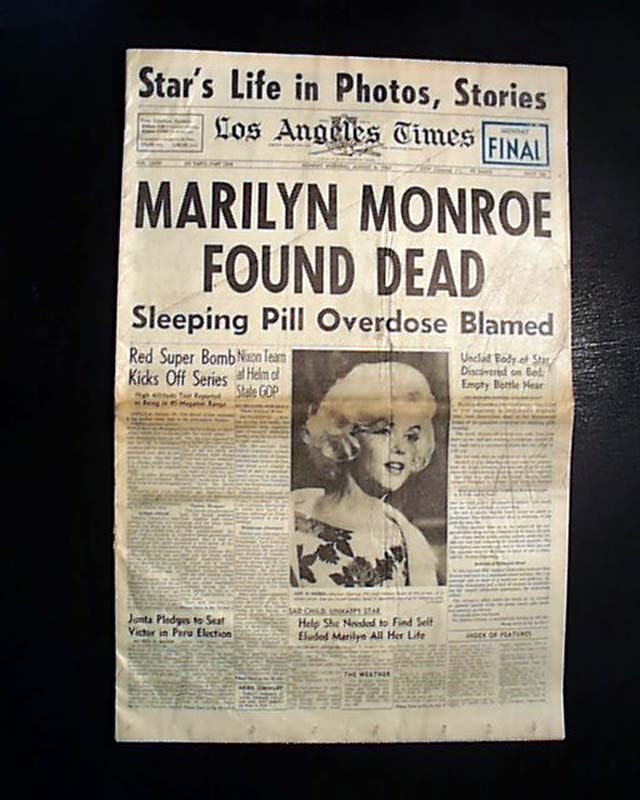 See the photo for the terrific front page report, with the two line banner headline: "MARILYN MONROE FOUND DEAD" and also: "Sleeping Pill Overdose Blamed". 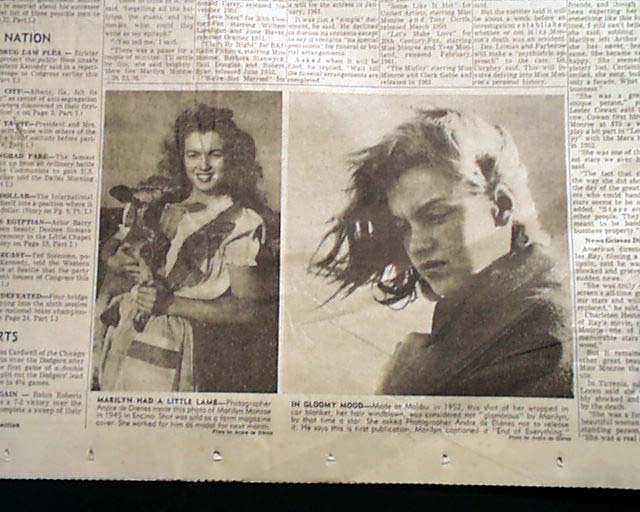 The front page also features a photo of her. 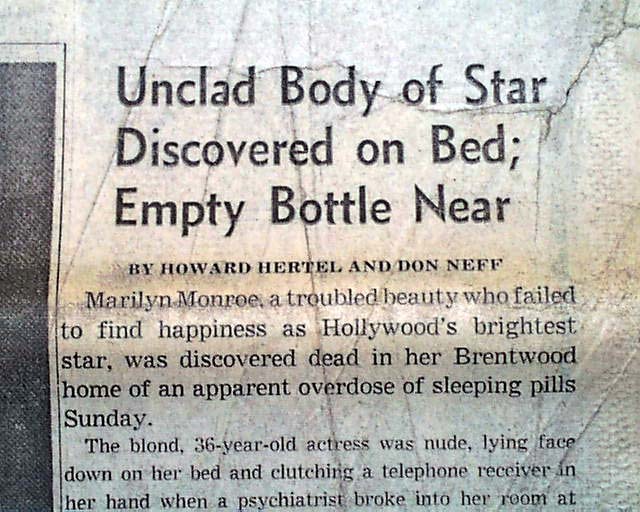 Related subheads include: "Unclad Body of Star Discovered on Bed; Empty Bottle Near" and: "Sad Child, Unhappy Star - Help She Needed to Find Self Eluded Marilyn All Her Life". 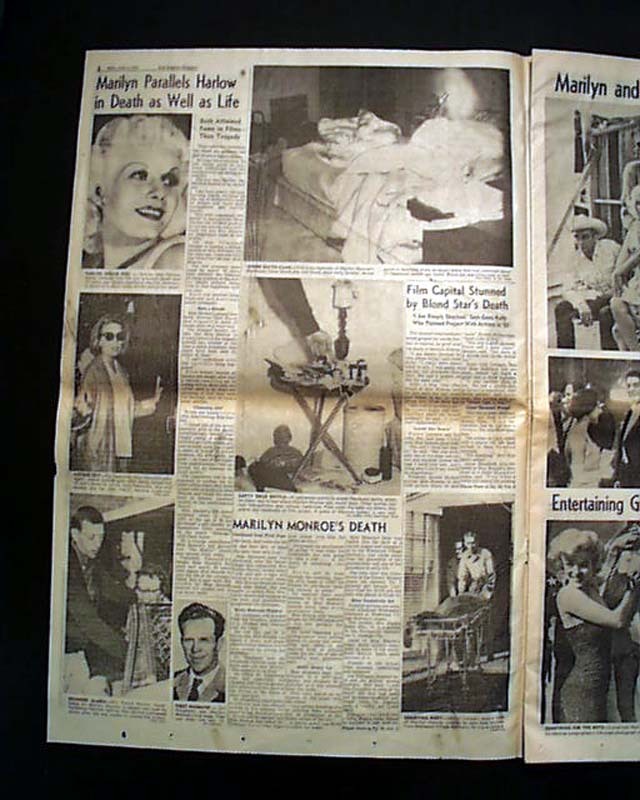 The report carries over to pages 2, 3 & 4 where are found many photos of her life. 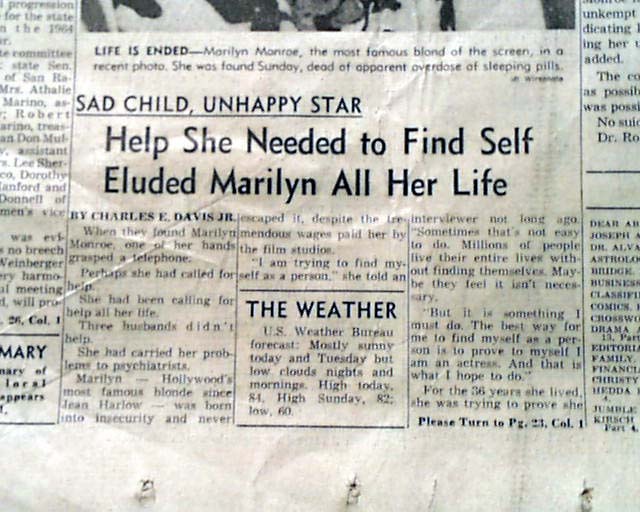 Other articles on Marilyn Monroe are on pages 22 and 23. 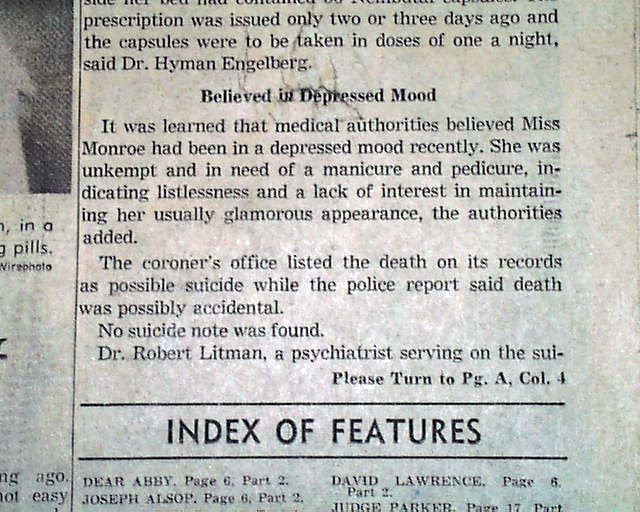 Given that her fame was gained in Los Angeles and she died in Los Angeles, this could well be the best issue to have on her death, certainly one of the most desired death reports of any famous figure in American history. 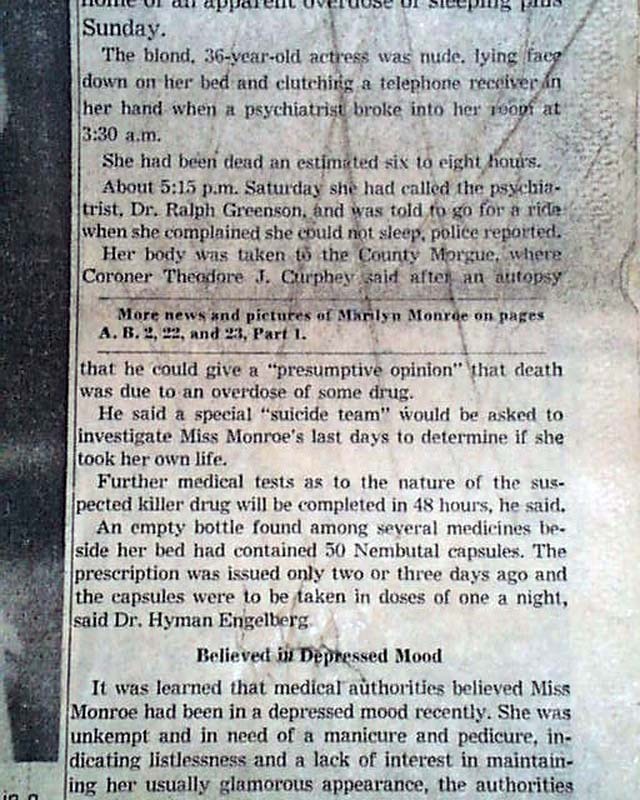 This is the complete 34 page first section (of 92 pages). 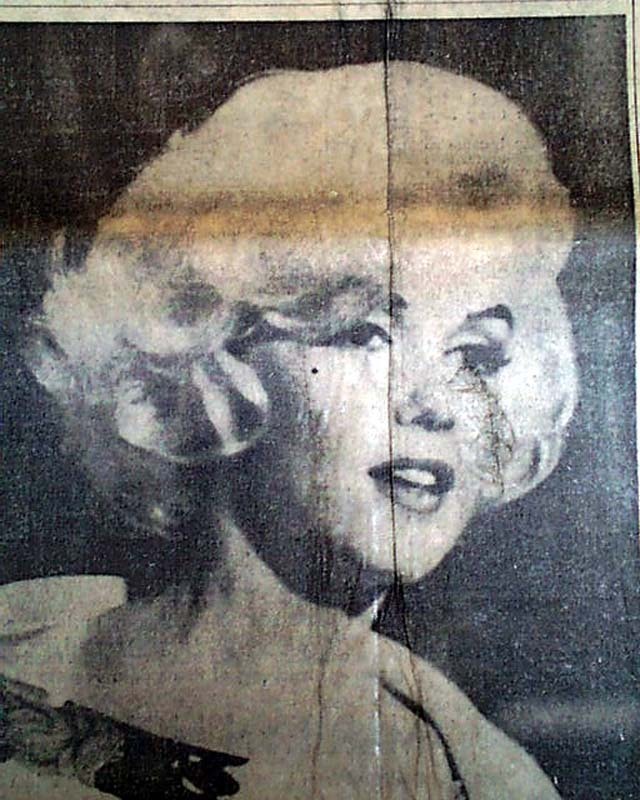 There is some minor ink rubbing as is typically found on the front page of issues (from being bundled with others), and a minor page 2 mend at the right margin, otherwise in very nice condition with virtually no central fold wear. 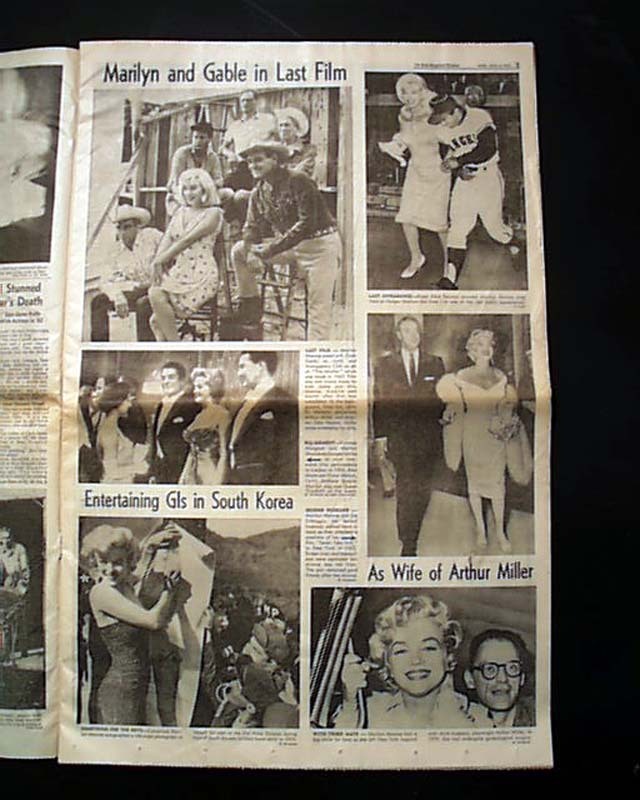 A newspaper for the best of collections.